Xirena "Beau" shirt in striped poplin. For in-store inquiries, use sku #2511348. 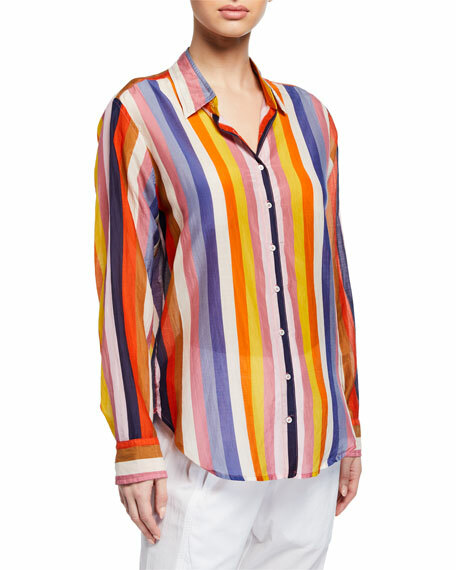 Xirena "Beau" lounge shirt in striped poplin. Spread collar; button front. Long sleeves; barrel cuffs. High-low shirttail hem. Cotton/silk. Made in USA of imported material.